← 4TH of July Weekend!! I love your write-up and your great find. I just had lunch with a cousin of mine because I knew he had a few of the bricks and I wanted one for my brother’s 50th birthday. 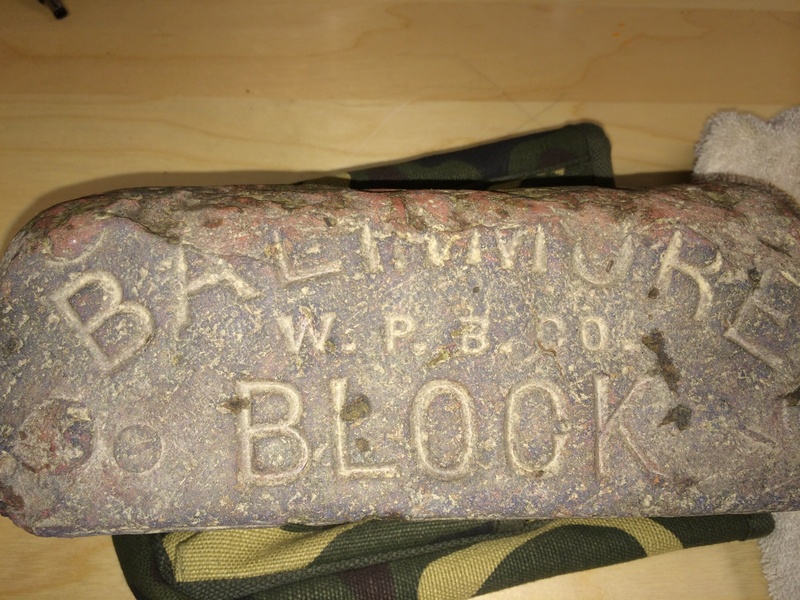 As I understand it, Baltimore Brick Company was owned by my great-grandfather, William Wise. There is a restaurant down in Key West called Blue Heaven that is full of the bricks because of two reasons – first, they were used in the ‘hold’ of ships for ballast, and also, Ernest Hemingway was a fan of the bricks and took a number of them down to the Keys when he built his house. Apparently, when Baltimore found out the bricks had been taken, he was charged ten cents a piece. Many of the bricks can still be seen on Hemingway’s property in Key West.